Galvin Green for the first time are official outer wear suppliers to Europe’s Ryder Cup team this September. And to make sure you’ve got plenty of time to get ready for autumn they’ve just launched a new multi-layer range which takes their line-up to over 250 premium lines all of which come in different styles and colourways. Headlining the new range is the outer layer Addison half zip Gore-Tex stretch fabric jacket which comes in 4 colours and sizes from S-3XL. There’s also new half and full zip Windstopper jackets which Galvin reckon are the most versatile garments in their range, because they’re more breathable than a waterproof yet still keep out a decent shower too. 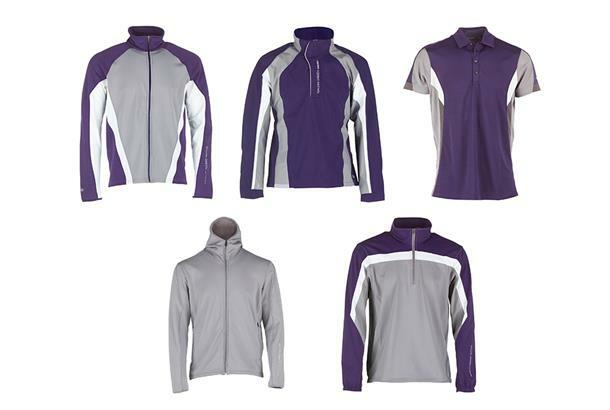 Keeping warm on the golf course in a british autumn is always a challenge so Galvin have worked up new Insula warm layer garments too. Choose from cosy, comfortable and flattering full or half zip models or a new Dante hoodie. Topping off the new range is the Mapping Ventil8 shirt which offers a UV protection factor of 20+, not that you’ll be needing that if the current weather performance continues.